Our passion for agriculture runs deep. Founded in 2015, Janzen Ag Law is a law firm focused on the legal needs of a vibrant agricultural industry. The pace of agricultural efficiency improvement in the past twenty years has been incredible. 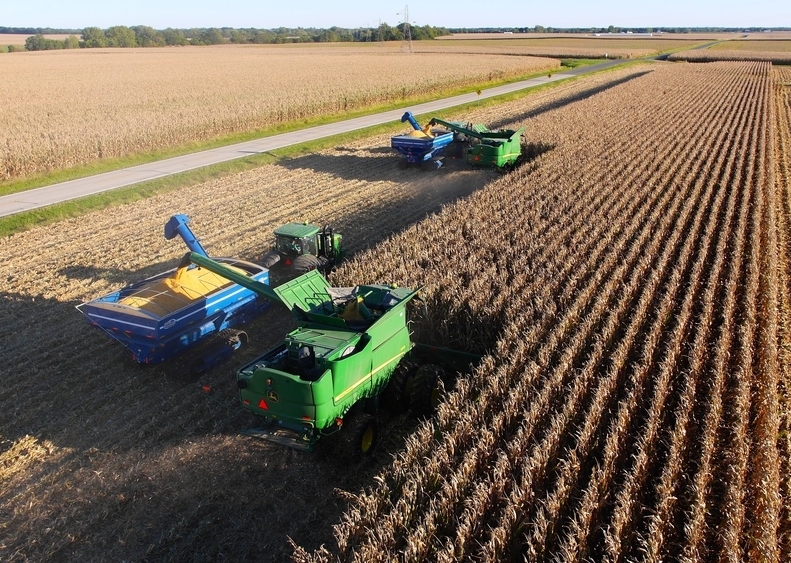 Tractors, combines, and other agricultural equipment--modern versions of industrial machines invented a century ago--can traverse acres at speeds inconceivable a few years ago. GPS guides machines on autopilot. Engineered crops resist disease, lessen erosion, and improve yields. Drones scout crops. We are not far away from driverless tractors farming fields while the farmer monitors equipment remotely. Modernization has made traditional farming more efficient than ever. Changes to agricultural production are not just confined to the field. Robotic milking machines milk cows. Robotic swine feeders provide growing pigs their exact nutritional requirements. Anaerobic digesters turn livestock waste into fuel and electricity. Internet of Things (IoT) sensors monitor animals for health and well-being around the clock. A modern livestock farm is a technologically advanced and connected business. Technological advancements have also meant farming is no longer an isolated occupation. Farmers today must answer to consumers demands. Nearly every business in the food supply chain must address traceability and sustainability requirements from those that consume their products. The world has changed. These changes are what bring us to work each day. They are why we built a law firm specifically tailored to the needs of those involved with agriculture--from the feed and input supplier, to the grower and producer, to the company that delivers the food to the table. Agriculture is at an amazing crossroad today--a crossroad between longing about what farming used to be and the ideals shaping where farming is going. We are the law firm that works at this crossroad. Our firm’s lawyers know farming because we came from farms and rural backgrounds. We share the values of farmers and those in the industry. At our core, we have a deep passion for agriculture. We believe that those people focused on feeding a growing world deserve lawyers that understand what they do. We support organizations that help develop tomorrow's ag leaders. The Indiana Dairy Producers' mission is to promote a positive image of dairy while providing the interchange of ideas and educational opportunities for dairy farmers. The AgriInstitute provides individuals involved in agriculture and related industries and those who serve rural communities with the opportunity to improve leadership skills, gain understanding and develop the expertise needed to provide leadership in public affairs for their businesses and communities.